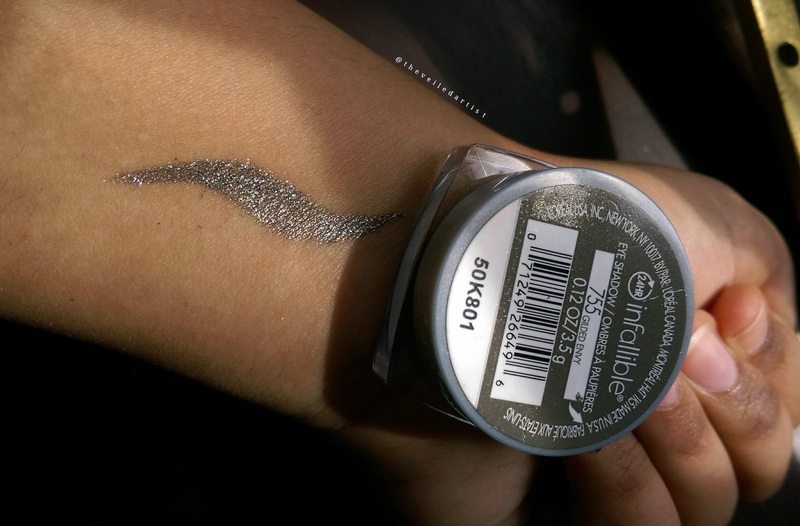 I'm here today with a quick but in depth review of the L'Oreal Infallible eyeshadow in Gilded Envy. I have been testing this out over the past few MONTHS actually because I wasn't sure if I liked it or hated it. Haha I've definitely made up my mind now! Hence, the review. So read on to see my thoughts and swatches. 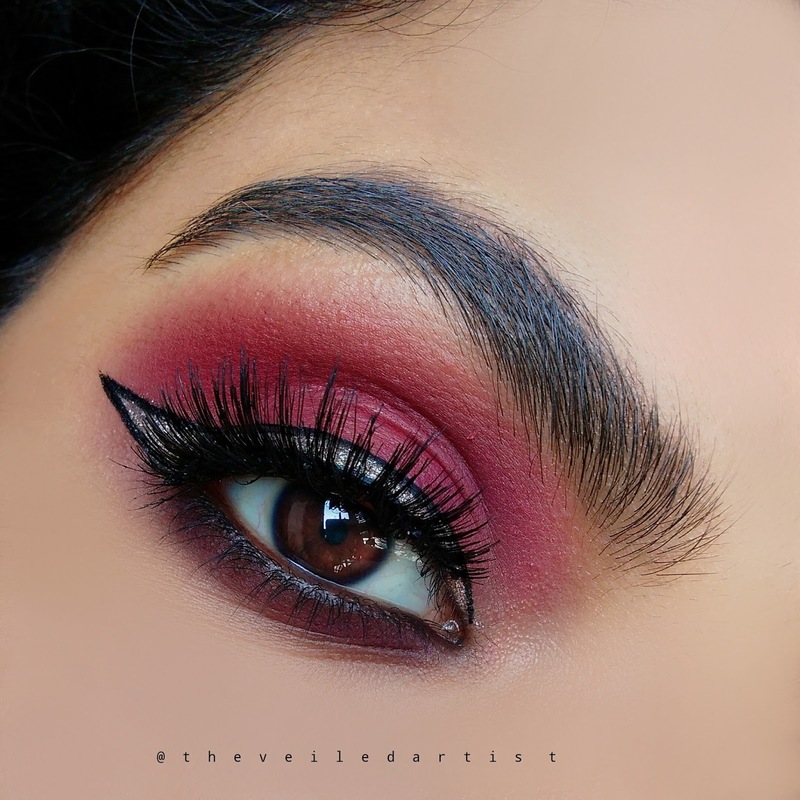 Velvety formula. Fadeproof. Waterproof. For the 1st time ever, L’Oréal Paris introduces an ultra intense eye shadow that lasts from day until dawn—a full 24 hours. This revolutionary formula fuses the ease of a powder with the velvety caress of a cream to create a unique hybrid that glides on effortlessly. 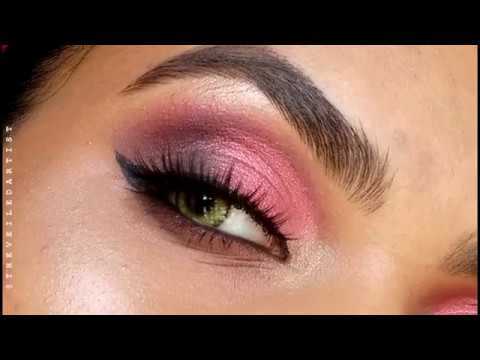 And with its unique technology, your eyes are enhanced with pure, magnified pigment. Make a lasting impression without batting an eye. These cost $7.99 per shadow and you get 3.5g of product. These pigments come in adorable little clear plastic pots with a twist-off lid. Inside though, you will find another little plastic lid with a handle. You do not want to discard this as it keeps the pigments pressed as they are loose pigments. 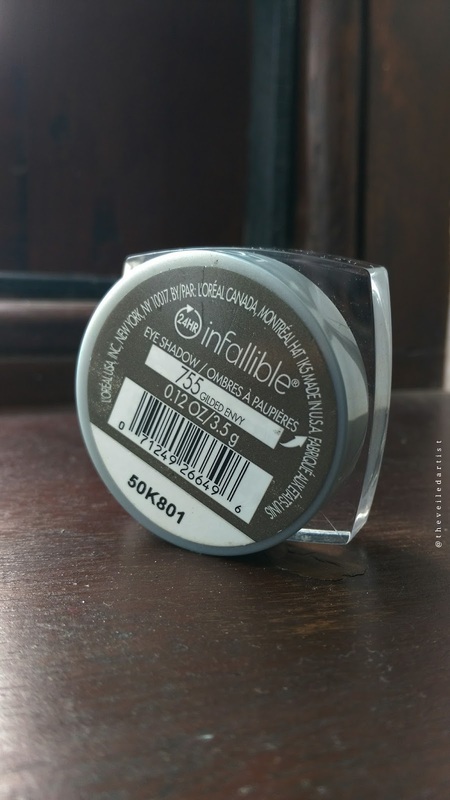 I really like the packaging of this eyeshadow and the little lid inside makes it quite travel friendly even though loose pigments are not the most travel friendly makeup item. 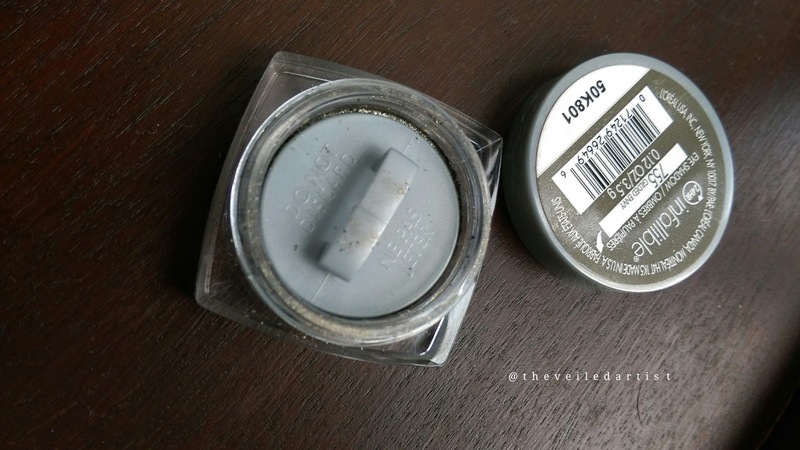 The shade I purchased is called Gilded Envy and I would say it looks like a taupe-y silver shade with slight hints of khaki green depending on the lighting you're in. 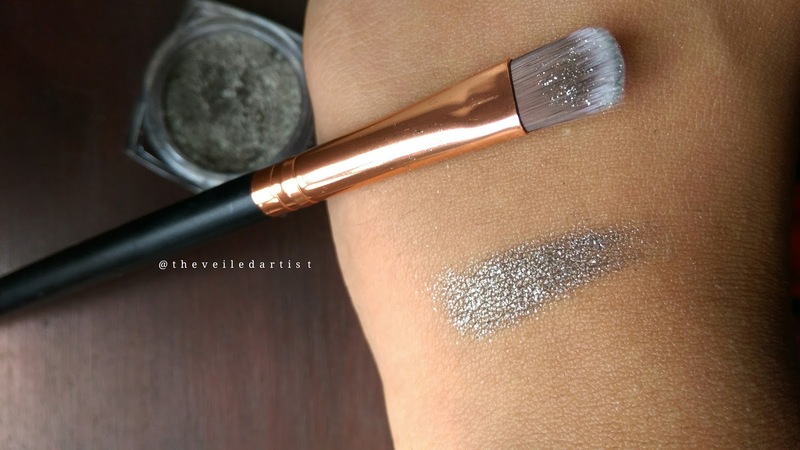 As I said in the introduction of this post, I wasn't really sure how to feel about this shadow when I initially started using it and that is because when I first used it, I used a brush to apply it and it had a crazy, unrealistic amount of fallout. 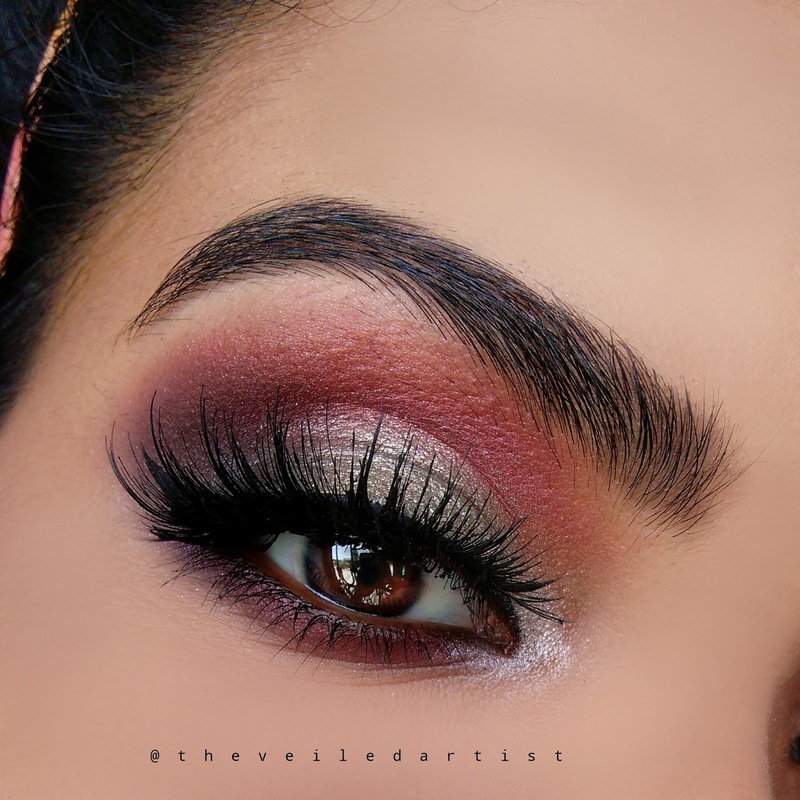 And since the shadows are so pigmented, you absolutely cannot get away with baking your under eyes before hand and then just swiping the fallout away along with your extra under eye setting powder. But I have now found that the best way to apply these is with your fingers or a sponge applicator, before you do any of your face makeup. Even when using your fingers, I recommend swiping the colour on and only patting the edges to blend. Swatch 1 below I used a brush and for 2 I used my finger. Now, you might be wondering why I even bother so much with the shadow and the reason is, it's ABSOLUTELY STUNNING! They're so pigmented, shiny and sparkly, almost like glitter. I even used it as liner with a damp angled liner brush and it looks beautiful. 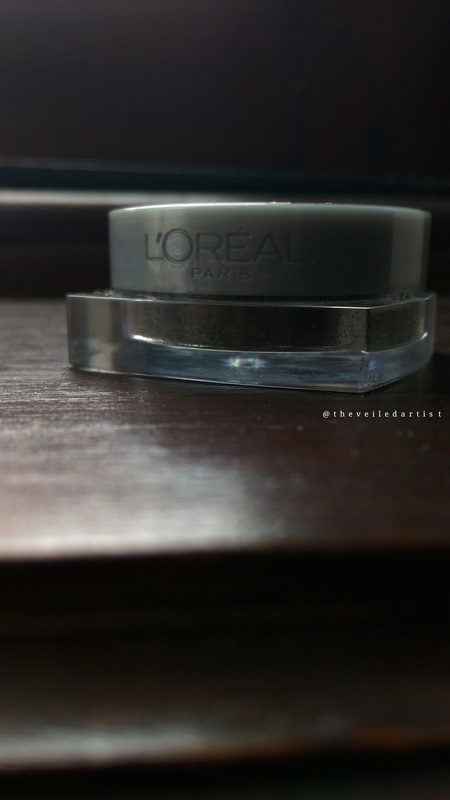 True to L'Oreal's claims, these really are very long wearing with minimal transfer and is waterproof as long as you don't rub your eyes while the shadow is wet. 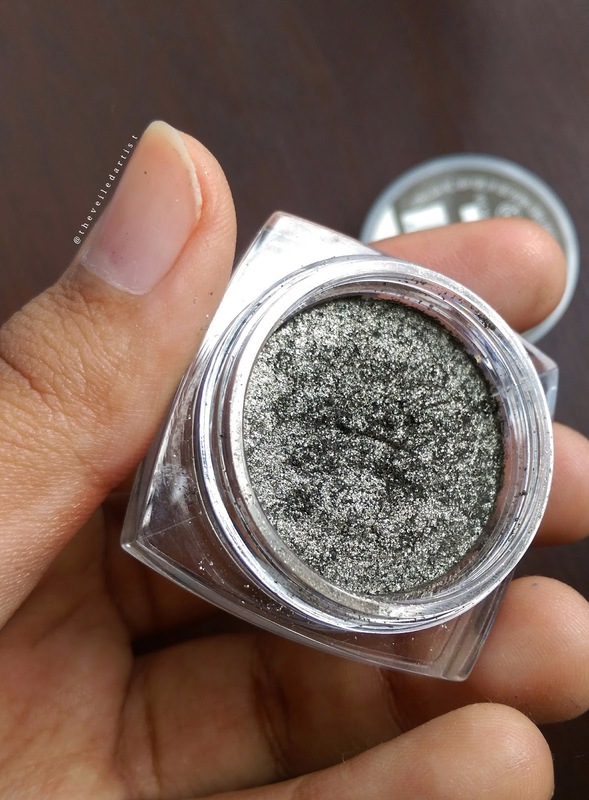 It is a powder to cream formula and the shadows almost feel wet when you press your finger into the pot because the pigment is so fine and soft. 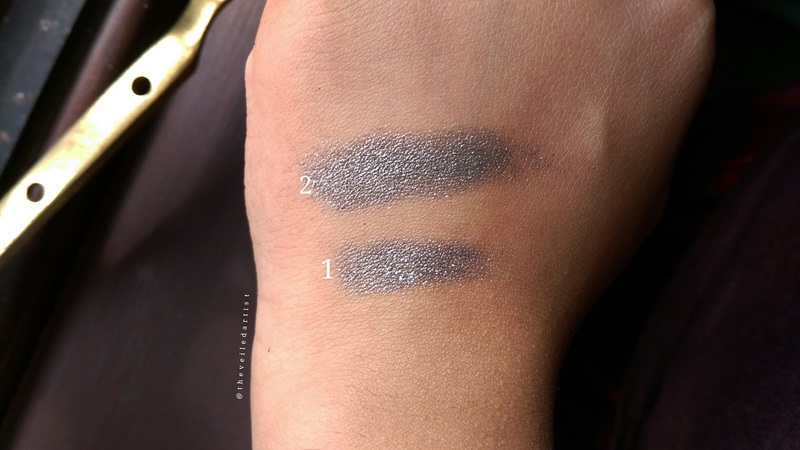 The formula of these infallible shadows have been heavily compared to the super popular Eyes To Kill Eyeshadows by Armani because of their extremely similar texture. Now, I have personally not tried the Armani shadows but I wouldn't be surprised if they are the same formula all together because L'Oreal owns the Giorgio Armani company! So you can save some serious bucks getting these for $7.99 instead of the Eyes to Kill shadows as those cost $35 per shadow haha. Definitely guys! It's so worth the super affordable $7.99 price tag. I can't wait to get my hands on more shades. 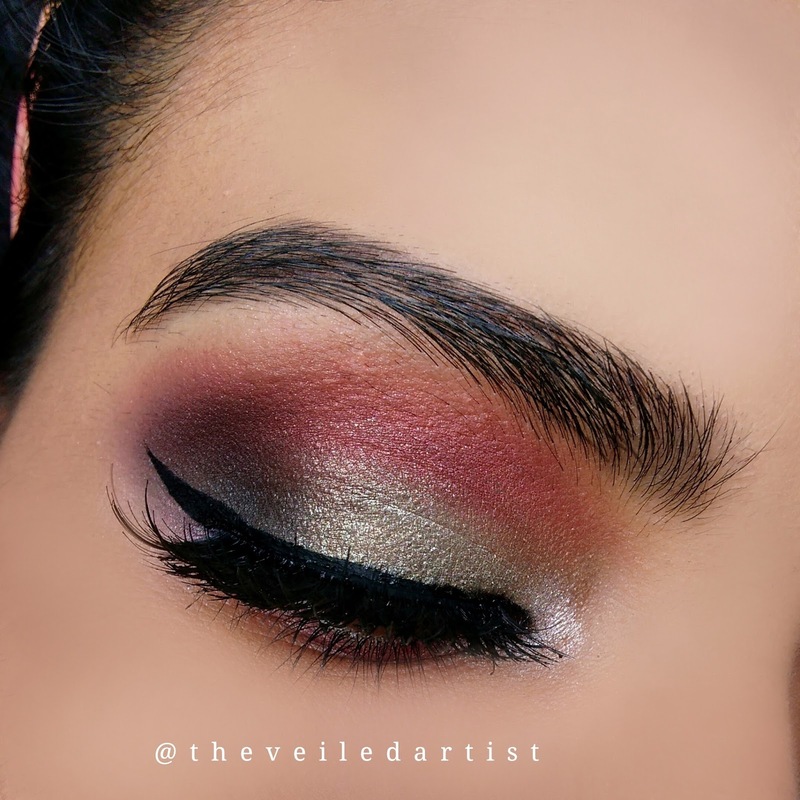 Scroll down to see some looks I've created using this shadow. You can click on any image to take you to the respective tutorials. Thank you so much for reading my loves! I hope you found this review helpful and useful. You can check out my last post here. It was a tutorial on an easy statement look with sparkly eyeliner.